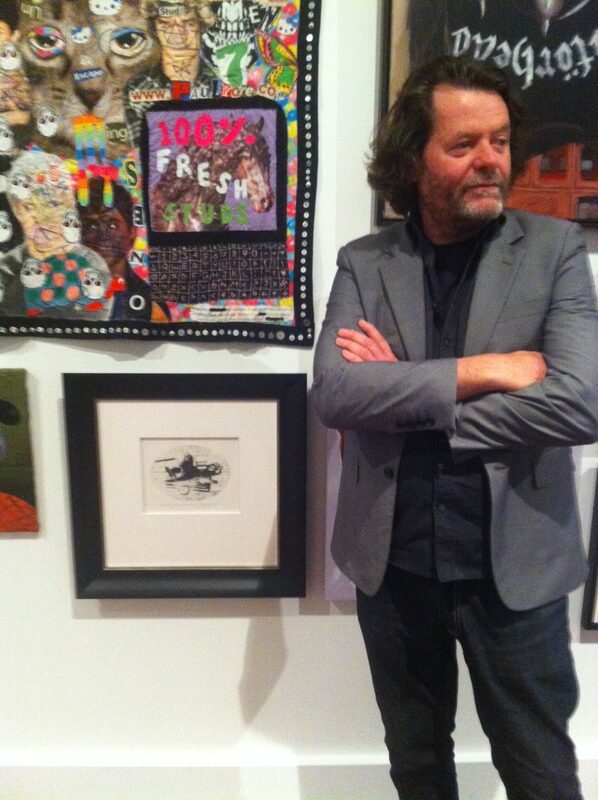 Currently on show at the Shepparton Art Museum is the first of a new series with the working title: Imagined Albums. 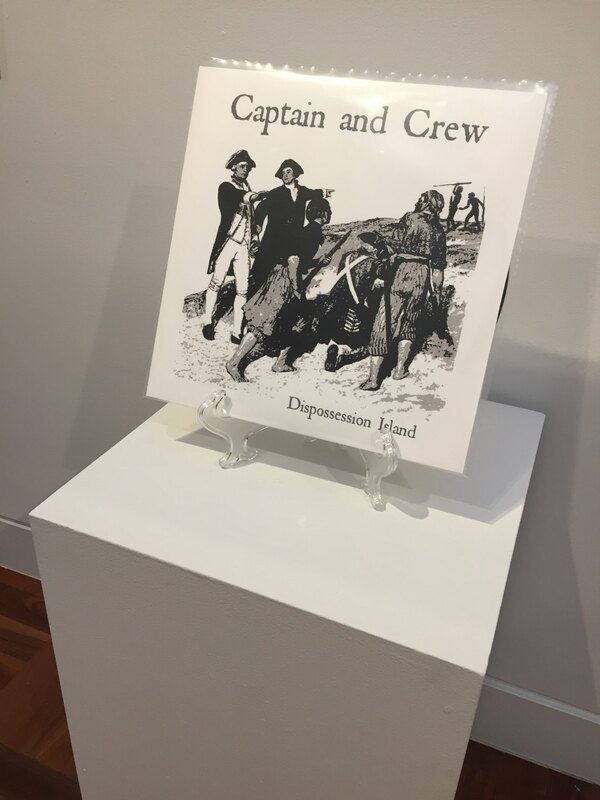 Songs from Dispossession Island is the title of the work pictured…. it is a multi colour screen print produced as a package to look like a vinyl record. Exhibition runs till 7th April. 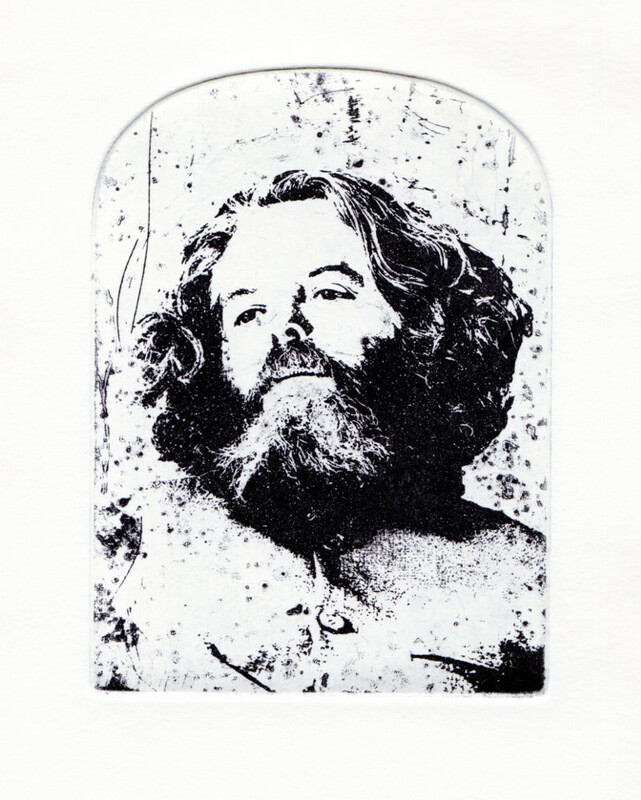 I am pleased to announce Study for Self Portrait as the corpse of Mad Dog Morgan (above) has recently been acquired for the Wangaratta Art Gallery collection. 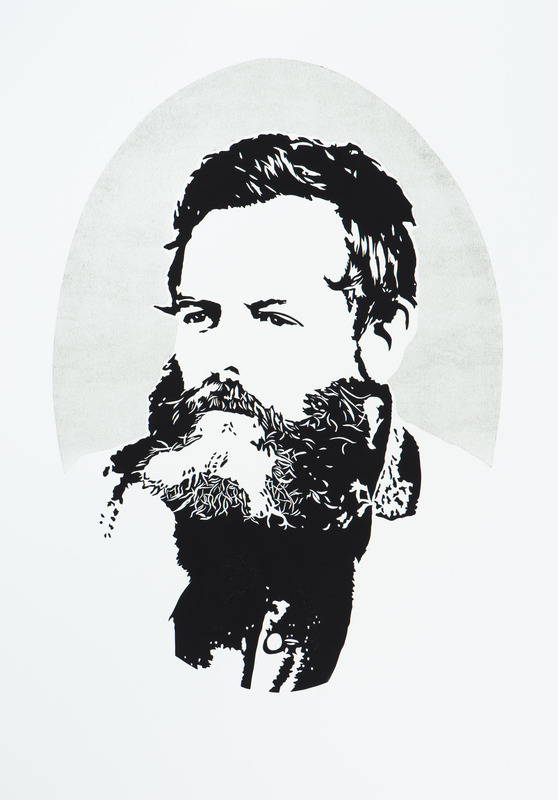 This infamous Bushranger has links to Wangaratta, as do I, as it was my hometown for most of my adolescence and where my interest in bushrangers began. Beard and Influence the exhibition, was a great success, with lots of fun had by all who participated in the Beard Bonanza. 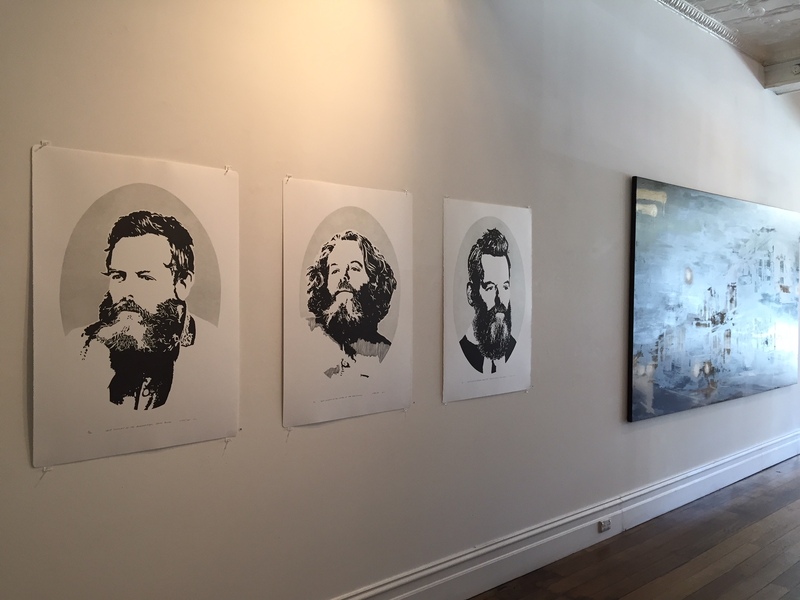 Very pleased to announce that a selection of the Beard and Influence works will be on show at the Wangaratta Art Gallery from May 26th to July 8th, 2018. Artist floor talk Sunday June 17th 10am-12noon. 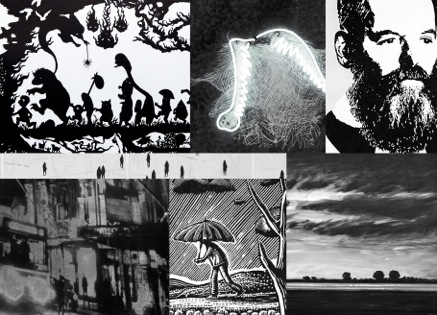 Last days of the In Contrast exhibition at Port Jackson Press. The Gallery is located at 84 Smith Street Collingwood, Victoria, Australia. Show runs until 25th October. Snap taken at the launch of the Romancing the Skull exhibition at the Art Gallery of Ballarat. This landmark exhibition runs til January 28th 2018. I highly recommend seeing the show not only because i have a work in it (pictured) but mostly because of the diversity of skull related imagery from a number of highly respected artists both national and international. Look for my laser resist etching in the soon to be released Romancing the Skull Catalogue. I am very pleased to announce i will be represented in Melbourne by the prestigious printmaking gallery Port Jackson Press. 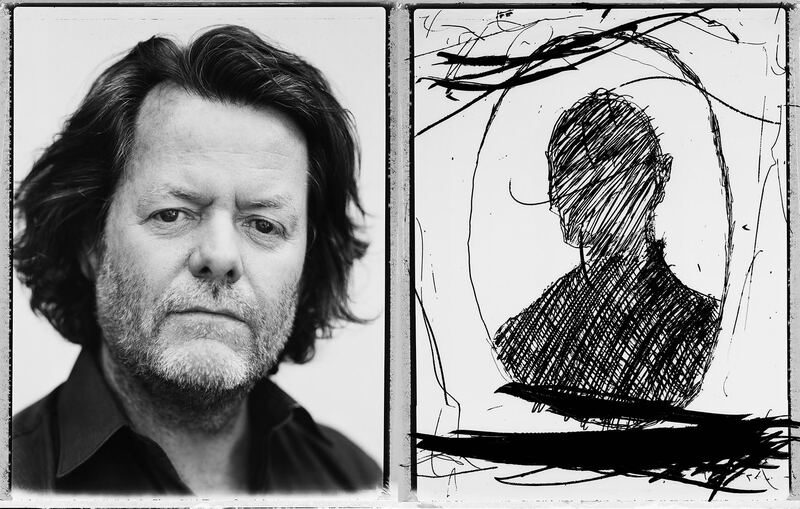 Launching this Friday the 6th and running till Wednesday the 25th October, you can view a selection of works from the Beard and Influence series as part of the In Contrast curators exhibition. 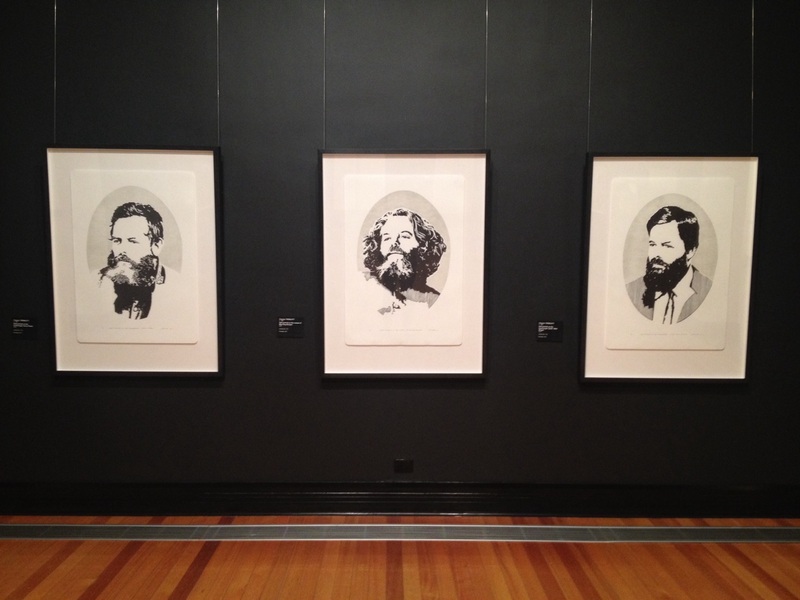 Recent acquisitions to the Castlemaine Art Museum collection. Although the Museum is in transition (with no new exhibitions), you can currently see three of my large scale Linocut prints acquired from the 2016 Beard and Influence series.